A little update for you all on the modelling front now. 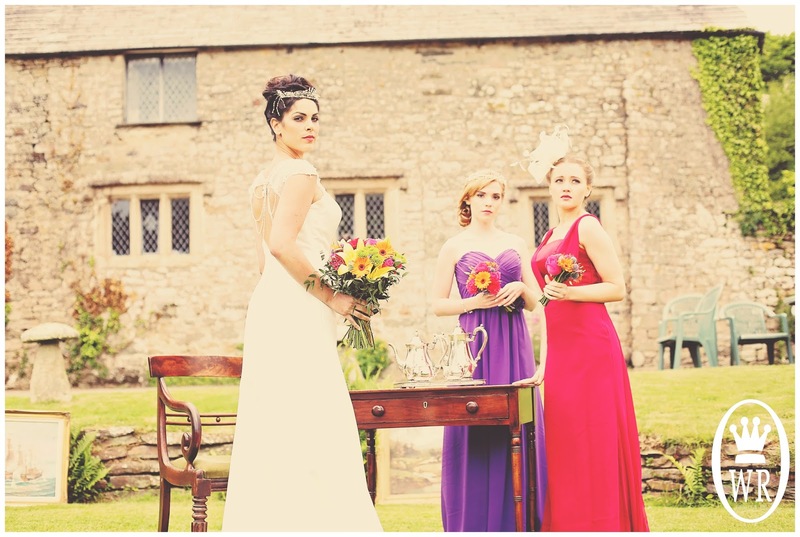 A few weeks ago I did a shoot at a wonderful wedding venue called Pengenna Manor in Cornwall. It was like a fairytale wedding venue, surrounded by trees, in a valley so all around you are green rolling hills and the manor itself was all stone with roses in the garden and cobbles around the grounds. Such a perfect place to get married. 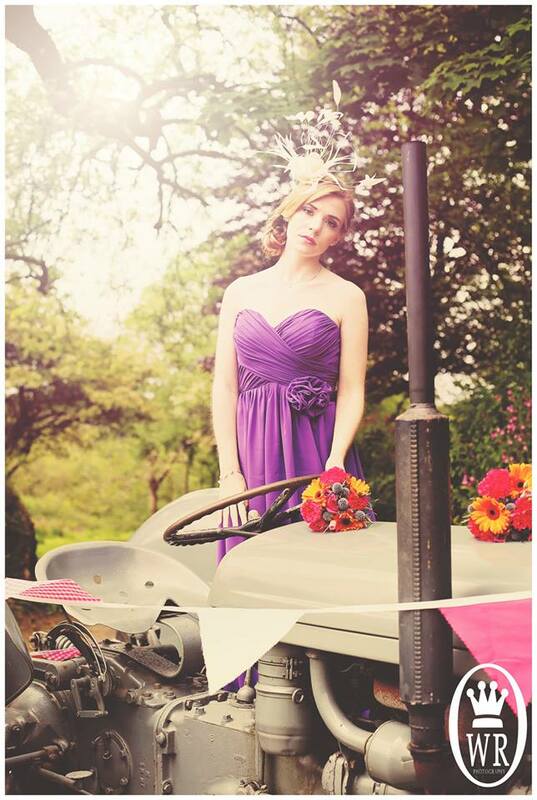 For this shoot I was a bridesmaid wearing a gorgeous purple dress. The headwear were beautiful, with vintage beaded head dresses and fascinators. We were especially lucky with the weather as the valley made a wonderful sun trap. 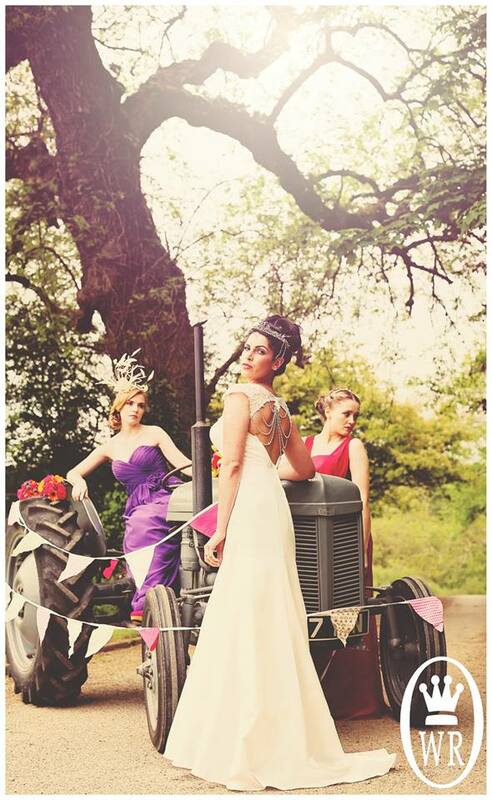 To our surprise the owners of the venue had an old vintage tractor which they get out for the braid and groom at weddings held there with a very sweet vintage trailer they sit in on arrival to the venue or "aisle". I love doing wedding shoots so much as you meet so many new people, make great contacts and it always feels like a real wedding (just with much less guests). 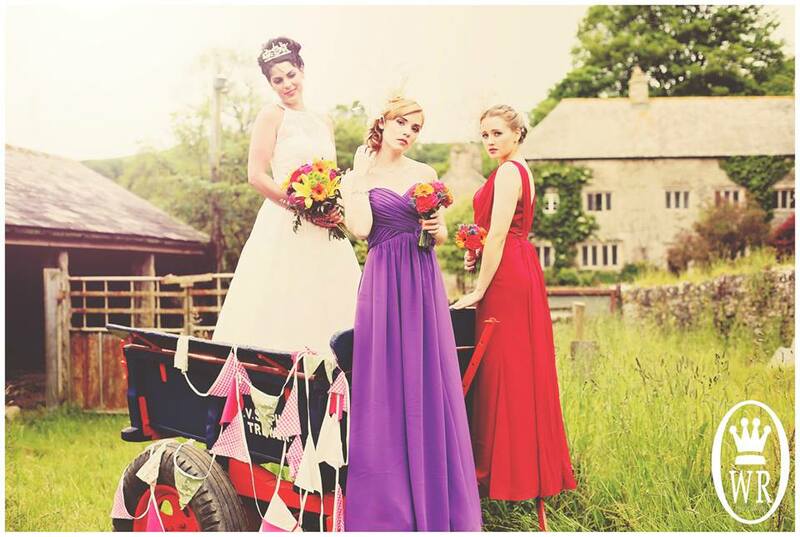 The photos from this shoot can now be found in Issue 30 of WED Magazine. 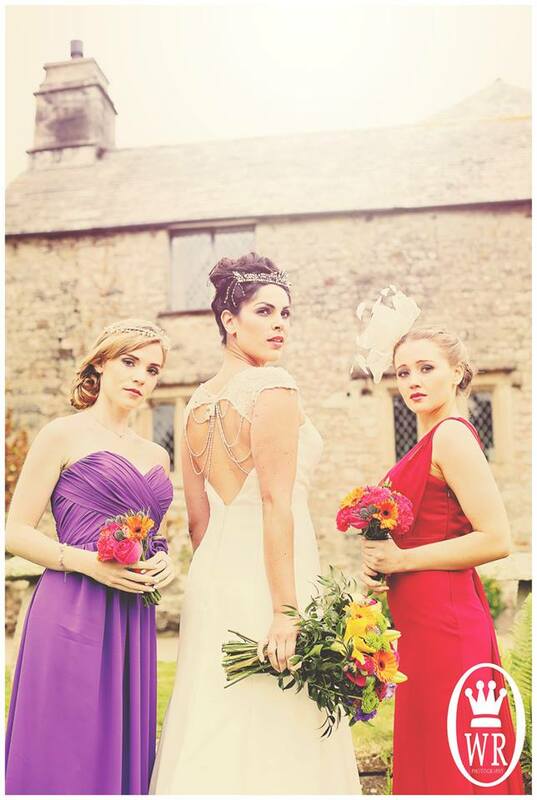 I also feature in a different article in this Issue on what to wear as a vintage wedding guest. These images will be released on here as soon as I'm allowed to share them with you!